One of fintech’s original opinion formers shares his thoughts on what makes a successful fintech, the risks threatening this growing sector and avoiding “innovative solutions”. The briefing was printed out and faxed to him, because I didn’t have an email account from which to send it. They hadn’t sorted them out for the lower tiers yet. Oh the sweet irony. Where the Silicon Roundabout has failed to deliver on its hype and deliver us with a home-grown tech giant, the city has busily output dozens of outstanding, world class, fintech firms. So to Sydney, Australia’s magnificent capital – with a AU$60 billion ($43.3 billion) financial services industry. Think tank, Australian Fintech, estimates the sector has the potential to take up to 30% of revenue from traditional banking in Australia over the next few years, a prize worth a cool AU$25 billion (18 billion). With its frequently brilliant Innotribe sessions and a solid line-up of speakers and panellists, the event has become a curious arena. It is hosted by an older, more established technology and payments infrastructure, but offers a safe space for challenger start-ups to engage, network and meet potential bank customers. Then there is R3, the breakout story in the enterprise blockchain space and the fulcrum for those looking to apply this technology to professional markets. Their model of engaging and working with banks, financial institutions and regulators right from the start has paid dividends, with over 200 organisations contributing towards the development of the Corda platform. And last, a seemingly inexhaustible supply of energy, drive, curiosity and intelligence. Of course everyone says they are specialists in fintech, and blockchain in particular, nowadays – witness the sheer volume of self-appointed advisors and PR “specialists” on LinkedIn. So choose your advisors wisely and trust your reputation to the best hands. They will articulate and tell your story with confidence, creativity and commitment. Nick Murray-Leslie is the principal of Chatsworth, a London and New York-based consultancy, and one of the world’s top fintech influencers. 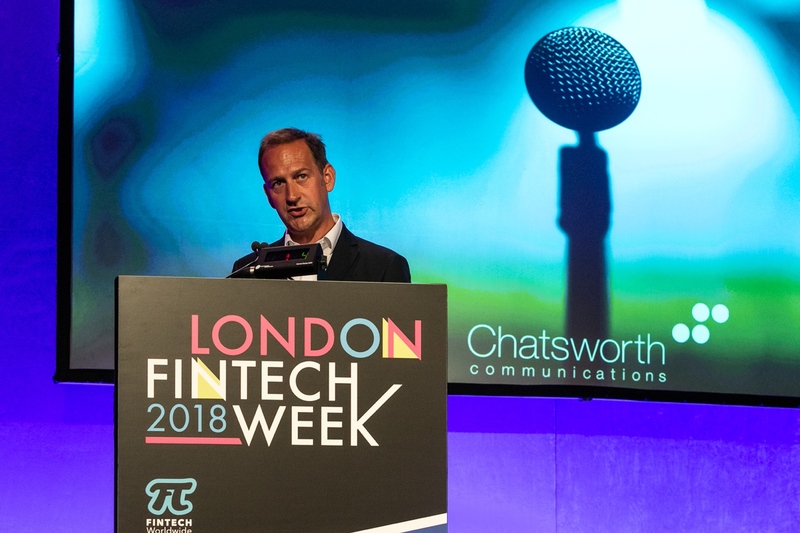 Chatsworth was the first agency to focus exclusively on providing connectivity, PR and marketing solutions to the fintech sector. The team advises and supports systemically-critical market utilities, established companies and start-ups, and has steered a number of businesses to growth and subsequent sale. From its headquarters in London and offices in New York and Brussels, the Chatsworth team advises and supports clients in all aspects of their strategic and tactical communications. Prior to founding Chatsworth, Murray-Leslie was media relations director at Barclays and Huntsworth. This article is also featured in the October 2018 edition of the Banking Technology magazine. Click here to read the digital issue – it is free! "ML or decision science is key."